Durham Arts Council, Inc. is a catalyst in the cultural development of Durham – it leads, inspires, and promotes excellence in and access to the creation, experience, and active support of the arts for all the people of our community. Founded in 1954 to promote and nurture the arts of Durham, Allied Arts was renamed Durham Arts Council, Inc. (DAC) in 1975. Three years later, the Council moved in to the historic Central High School and City Hall building, which was constructed in 1906 at 120 Morris Street in downtown Durham. 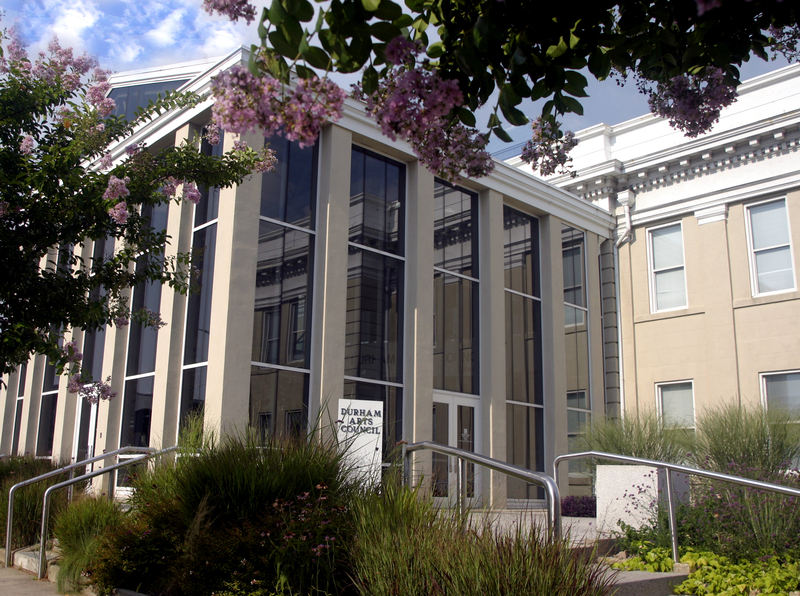 In the mid-1980’s, after a three-year renovation, the city-owned building became DAC’s long-term home. DAC is a 501 (c) 3 not-for-profit organization funded by earned revenues, grants and contributions from corporations, foundations, individuals and support from the City of Durham and the North Carolina State Arts Council.